How do police sketch artists depict perpetrators so accurately? How Do Police Sketch Artists Accurately Depict Perpetrators? 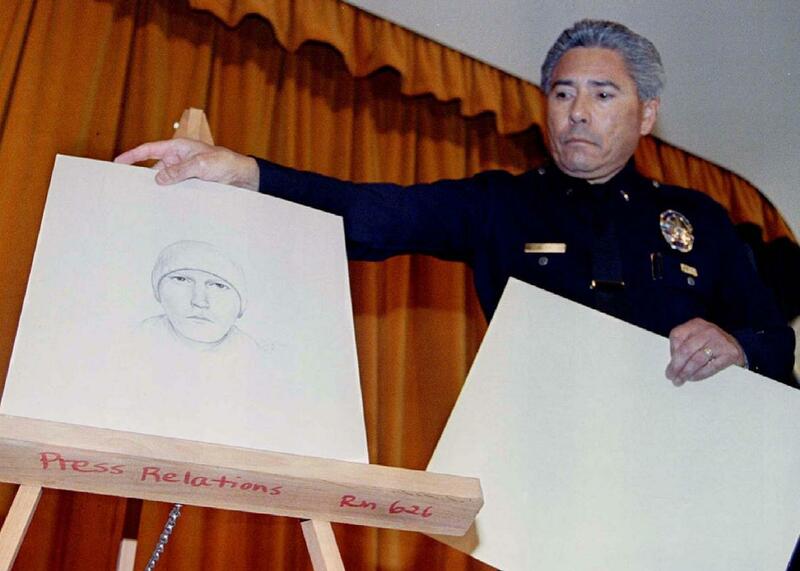 A Los Angeles Police Department officer displays an artist’s sketch of the suspect a murder of Ennis Cosby in January 1997. When I was a victim of an armed robbery, I was eager to get this violent criminal off the streets. Unfortunately, the Bay Area city in which this occurred did not employ a composite sketch artist, and my case was not considered high-profile enough to warrant the investigator traveling an hour to another city with me to do the drawing. This was not satisfactory. I began working with a private investigator to help find the attacker and put him behind bars where he belongs. The private investigator firm connected me with a composite sketch artist to help pull my memory of the perpetrator from my mind to paper. We would ultimately distribute the sketch back to the police to help move the investigation. By the time this all occurred, about two weeks had passed, and I was nervous that I would not recall the man enough to create a satisfactory sketch. I expressed this to the composite sketch artist upon meeting her, and she assured me that this was not going to be the case. And it wasn’t. The artist informed me that the point of the sketch is not to make a portrait or an identical match of the perpetrator. The point is to get to a resemblance, so that people can look at the drawing and be reminded of someone that they have seen recently or in the past. This reassured me. When she was ready to sketch, she first asked me what was the one thing about the attacker that stood out to me when I saw him, and I instantly said his eyes. When I first saw him that day, I remember thinking, “Wow, those bags under his eyes—he looks tired! The guy should get some sleep.” The sketch artist was really happy with that, because she was able to get a really good idea of how tired his eyes looked. She asked me to describe his eyes more, like if I could see the whites around the top and bottom and if I could see his eye lids when he looked at me, the color of them, the shape—every minute detail. She took the time to make the eyes perfect and after showing me just the eyes, I nearly fell out of my seat in disbelief of how much those eyes looked like the perpetrator’s eyes. The artist then moved on to other prominent features like face shape, nose, mouth, cheekbones, jawline, eyebrows, wrinkles, smile, and teeth. Literally, every single feature on a person’s face was addressed, including the symmetry of it. There were times that I could not really describe the feature, but she was able to use her face or my face as a reference to what detail she needed. For example, the bridge of the nose: I had no idea how to describe it other than “kinda skinnier.” But after seeing that it was slimmer than both hers and mine, she was able to get a good draft of his nose. There were times she used her in-progress sketch as reference. When I could not describe how far his upper lip was from his nose, she took an out line of lips on a piece of tracing paper, started at his nose and moved the paper down and told me to stop when it looked about right. That was really helpful for me; otherwise, I would have really been at a loss for words. We went through every feature of his face like this, and she was able to show me a very basic draft of the attacker, which really resembled him already. We moved on to the FBI picture book, where there were hundreds, maybe thousands, of pictures of people (noncriminals) separated into different features—from face features to type of hats to hair. She needed more detail to complete the sketch, so she took me through the different sections and asked me to take a look at the pictures and identify the closest picture to the feature. I had originally described the jawline as “strong and defined,” but once I looked at the jaw section of the FBI book, I was able to point out that it looked very similar to one specific picture. His cheekbones were a combination of two pictures, and so forth. She made notes of each picture I cited for each feature, and then the real magic happened. She took about 15-20 minutes to look at all the pictures I mentioned and use them to finalize the sketch. It was so accurate that my girlfriend, who was present during the sketch and had seen the attacker several times prior to the armed robbery, was creeped out by just the sketch—she could not look at it too long. I again laughed in both disbelief and surprise about how much it looked like the perpetrator. All I could do was laugh. Once I stopped laughing, the sketch artist wanted to get his age right. Because I had mentioned him looking older, she asked if he needed more wrinkles and where. I thought he needed some more aging, so she added wrinkles and shading to make him look older, and it was done. Just like that. The whole process was scheduled to take two hours but took about two and a half hours. While this may seem like a lot of detail that I would not normally recall, I spent about three minutes with the suspect, and the image of him is burned in my memory forever. Prior to working with the composite sketch artist, I would have never been able to describe the man in such great detail, but definitely would have been able to identify him if I saw him. Now, the sketch is out there and hopefully my attacker will be apprehended and that chapter of this nightmare can be over. Crime: What is it like to be held at gunpoint? Crime: What does it feel like to kill someone unintentionally? Sketching: What are considered the best pencil sketches ever?